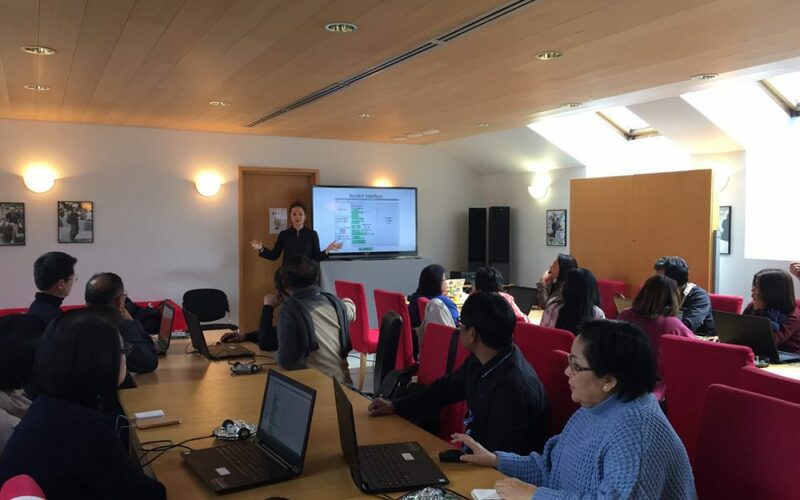 ROBBO™ organized an interactive programming and robotics workshop for 26 teachers and deans from Thailand on Friday 12th of May. With an interest for the Finnish Education System, a delegation of teachers and deans from faculties of education in Thailand visited Finland last week. As part of their visit, the delegation participated in a ROBBO™ workshop. During the two-hour workshop the delegation had the opportunity to learn the basics of programming using RobboScratch and the ROBBO Robot kit. “We wanted to create an interactive and fun way for the teachers and deans to learn programming while showing the pedagogical benefits of our educational robots,” says our Program Director Kristina Z. Karkkonen.